Thank-you for taking the time to visit my website. 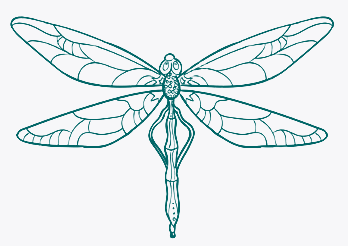 I’m a writer and the founder of Dragonfly Copywriting and Dragonfly Social Media, a small team of media professionals who are committed to innovative, ethical and effective marketing. Our clients, who range from organic farmers to performing arts companies, all have one thing in common – they are striving to make the world a bit of a better, more beautiful, healthier and adventurous place. We believe that, whether you want to sell property or surf lessons, the key to a success is finding, and keeping, your 1,000 fans. And how do you attract these fans? Through telling your story by using a combination of inspiring images and compelling content. Although we love ink on paper and can help you create brochures, press releases and all traditional marketing merchandise, we relish the exciting opportunities offered by digital marketing, including social media and e-mail marketing.